The VID Fire-Kill Model APS – Facade is a system utilizing very small open watermist nozzles integrated in stainless steel pipes designed specifically for the protection of building facades up to 7m high. The system covers the entire facade underneath the system and approximately 1-2m in front of the façade. 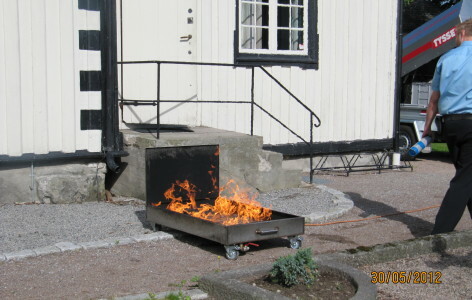 This ensures full protection of fires occurring at the facade or in the vicinity. The system is designed to blend into the building structure for esthetic appearance. The Model APS-Facade is successfully tested to DFL test method standard TM70111-04 and TM90810-01, both soon to be a part of CEN/EN 14972 (European watermist standard). The Model APS – Facade is designed to cover combustible as well as non-combustible, outdoor and indoor facades with unlimited lengths and heights up to 7m height. 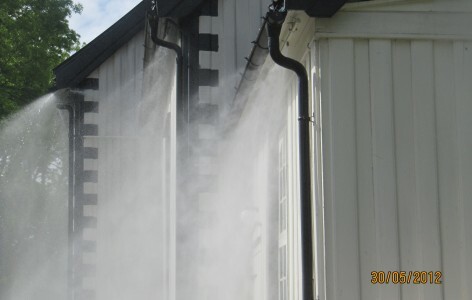 The unique water spray pattern is designed to operate at ventilation rates as high as 5 m/s without being affected, making the system perfect for outdoor protection. The need for facades protection is typically found in cultural heritage buildings or for buildings where wildfires are expected to be a risk.